Distinguished and handsome, Thistle has lived quite a rich life. He'd love to tell you all about it, and is considering penning a memoir. But it's so hard to really focus on such a project in a shelter environment with the constant interruptions- meeting potential adopters, educating the younger felines, grooming, and napping. Always the napping. He'd love to find his way into a home where he could really churn out some chapters. 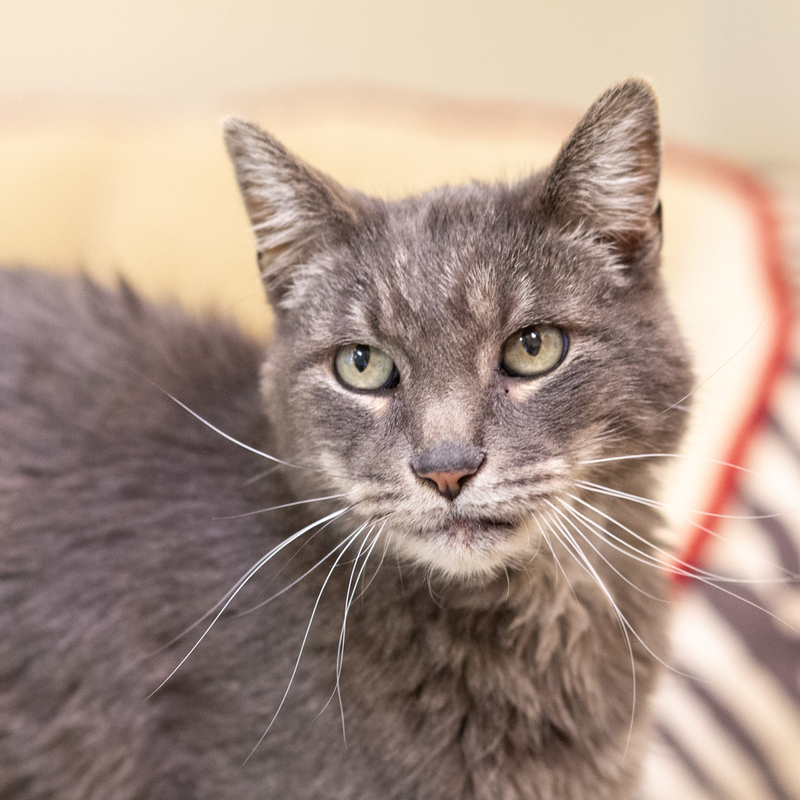 He's happy to share his forever home, and your lap, with another cat and he's really hoping you will come meet him and appreciate his storytelling abilities.